It's now recognized that there is a definate link between food and digestive disorders. There is a good chance that FODMAPs – small carbohydrates in certain foods – are the culprit. 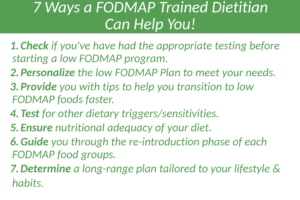 As a clinical Dietitian/Nutritionist, I’ve seen how remarkable a low-FODMAP diet can be for people with chronic gastrointestinal symptoms… things like recurrent bloating, gas, cramps, diarrhea or constipation. There’s also many new case studies suggesting it can help with several other chronic health conditions too. 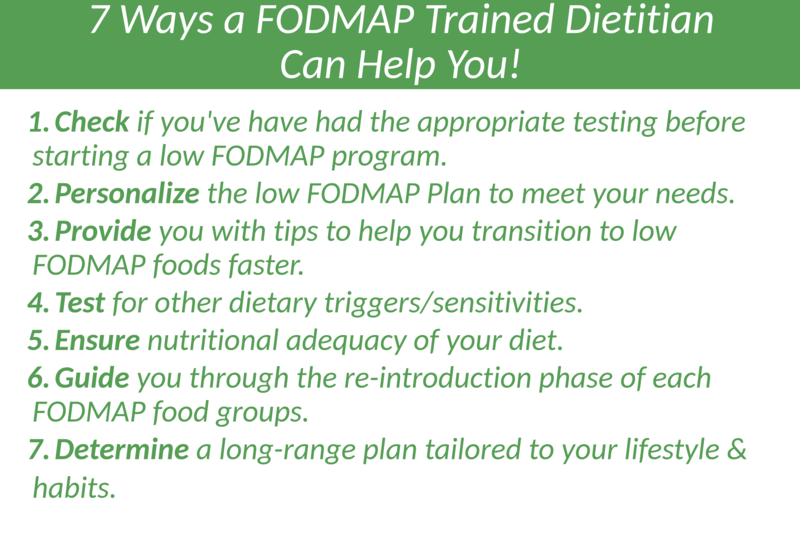 If you’re keen to learn more, and maybe even try a low FODMAP diet for yourself, keep reading. 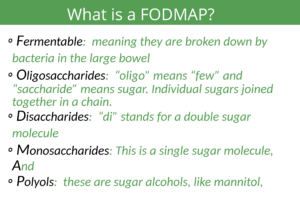 A low FODMAP diet, or FODMAP elimination protocol refers to a temporary style of eating that has a very low amount of food compounds called FODMAPs. Those saccharides and polyols are short-chain carbohydrates that, if poorly digested, ferment in the lower part of your large intestine (bowel). This fermentation process draws in water and produces carbon dioxide, hydrogen, and/or methane gas that causes the intestine to stretch and expand. The result is strong pain, bloating, visible abdominal distension and other related symptoms. 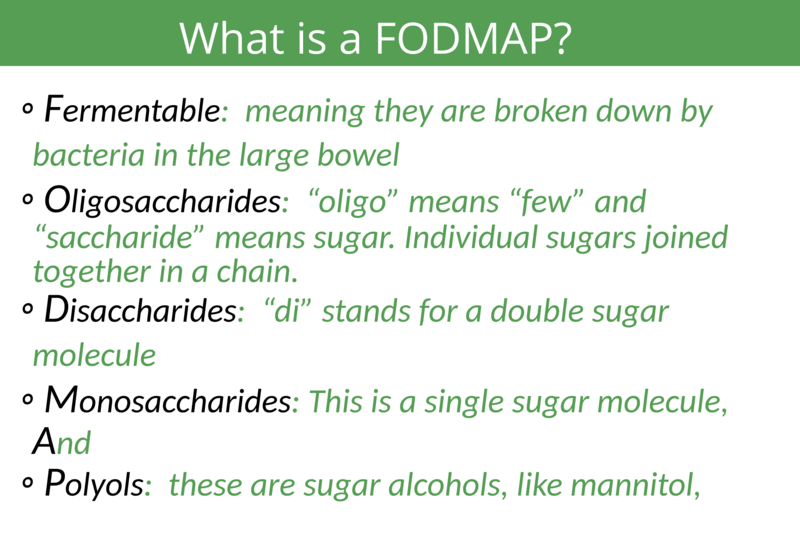 Never heard of a FODMAP before now? That’s ok. The low FODMAP Diet is a medical diet that was developed at Monash University in Australia to treat people with IBS. A body of high quality research studies now show that the Low FODMAP Diet can be used as a first line of therapy for IBS. The Low FODMAP Diet is now an internationally accepted dietary management strategy for IBS. This is great news because until now, there was no effective dietary help for IBS. Patients diagnosed with IBS had to figure out food intolerances on their own, restrict the wrong foods, rely on daily medications and yet, many suffered. I still see this with new clients that come to 2Nourish. IBS is not a “One Size Fits All” type of condition. Everyone is different. You need guidance and support provided by an experienced IBS Nutritionist. The Low FODMAP diet, when implemented with the help of a FODMAP trained and experienced registered dietitian, is shown to improve symptoms in over 80% of people with IBS. Marietta is a Registered Dietitian who is trained and specializes in IBS and the low FODMAP diet.